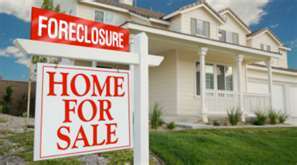 Insurance Planning Service offers special insurance designed to cover vacant homes! Homeowner’s insurance is not intended for the increased risks presented when a home is vacant. In fact, risk of loss increases so much when a home is vacant that most underwriters will cancel or non-renew a homeowner policy if they become aware the home is vacant. But don't be fooled into thinking you are protected by your homeowner's insurance because the insurance company isn't aware of the vacancy. Most homeowner’s policies contain built-in provisions that automatically limit or exclude certain causes of loss once the home is vacant for 30 or 60 days. The actual number of days depends on the wording in your particular policy. Don't risk severe financial loss. Let our knowledgeable staff work with you to secure the coverage you need to protect your vacant home. Be sure to ask us about other important parts of your insurance program, including Personal Auto; Home Insurance; Umbrella Liability; Life or insurance for your Business. Getting a QUOTE for VACANT HOME INSURANCE is quick and easy! One of our dedicated representatives will contact you shortly!